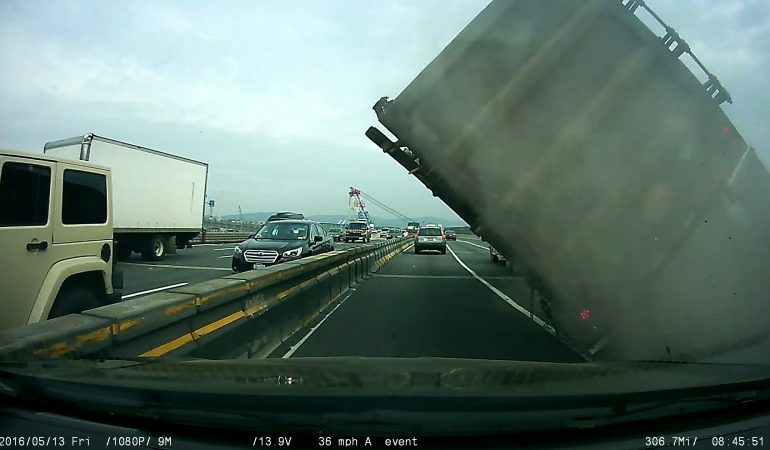 In our age of dashcams, it’s become rare to see a footage of any type of road incident that you haven’t already seen before. Dashcams have been everywhere and recorded almost everything. Yup, that’s ALMOST everything, because I guarantee that 99% of humanity have never seen anything like this; A huge semi truck losing its rear axle on a bridge for no apparent reason, then tipping and crashing spectacularly into a movable median barrier. It’s amazing that no one was hurt and no vehicle damaged, apart from the semi, so don’t feel guilty for enjoying this video. You Won’t Believe Fire Breathing Monstrous Drifting Trike!